Bring your questions on supply chain modules of ERP. 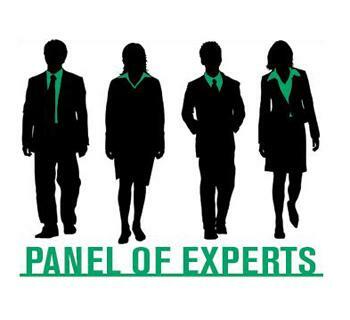 We will have a expert panel of experianced professionals with supply chain and ERP experiance. Stump the panel! We will have a facilitated discussion on common issues that we all face in supply chain. This may include: forecasting and planning issues, using MRP, procurement and controlling operations. FREE PARKING AND WIFI AVAILABLE. PARKING IS IN THE METROTOWN PARKING LOT BEHIND THE BAY AND FOOD COURT. IF YOU PARK ON THE UPPER(UL) 3rd LEVEL YOU HAVE DIRECT ACCESS TO THE EVENT VIA "FIREFIGHTERS PARKING" and ACCESS DOOR. LOOK FOR SIGNS. This is not the roof level, one below. Vision33 is a SAP gold partner and the largest global value added reseller (VAR) for SAP Business One®. We are a business partner that helps challenge your business processes to improve efficiency and attain your goals for growth and success. Vision33 works with fast growth companies from small and midsized enterprises (SMEs) to large enterprise subsidiaries in industries such as: manufacturing, wholesale and distribution, and retail. Philip qualified as a Chartered Accountant with Ernst & Whinney in South Africa and moved to Canada in 1986 where he helped establish Syspro in North America. In 1998 he joined Manugistics (now part of the JDS Group) whereas a Senior Business Consultant (Supply Chain) worked on projects with companies such as Mitsubishi, Fujitsu, Del Monte, 20th Century Fox, and others. He subsequently joined Sauder Industries in Vancouver where he held the position of CIO for more than 12 years. He is currently President of Aquilon Software Inc. a provider of ERP systems for small to medium size businesses. Steve Bassaw is a supply chain professional of 20 years including Inventory Planning and Purchasing and has achieved the APICS CSCP designation (Certified Supply Chain Professional). Steve has been with SYSPRO for over 18 years, starting as a Support Analyst where he learned the SYSPRO product in depth. Before joining SYSPRO, Steve was a SYSPRO software user at a manufacturing company in the role of production planner and materials manager. Steve is also Chair of the Advisory Committee for BCIT’s Business/IT program, contributing his knowledge on how Information Technology is actually used to support real world business requirements. With over 15 years’ experience in the ERP and IT industry, Peter vanLeeuwen, General Manager of Vision33’s BC region, has extensive knowledge in providing ERP and implementing ERP solutions. Peter is an expert in best business practices in various industries with particular knowledge in the supply chain space. Peter has been a part of the SAP Business One community for over 15 years and prior to Vision33, he was the co-founder Encaptis, the #1 SAP Business One provider in Canada. Dan Telep has been working with and leading ERP implementation projects for over 20 years. Dan has a passion and a vision for how ERP can transform an organization. Affectionately called an ERP Evangelist, his ability to hear a business need and translate that into a practical solution is second to none with ERP leadership experience in a variety of industries, including aerospace, medical devices, metal fabrication, and food products. For 10 years he was an ERP user, using Infor ERP as his weapon-of-choice to measure, achieve, and improve both operations and financial processes. Dan then became an ERP implementation consultant, and helped implement and improve over 55 different business in different industries, across Canada. After six years, he founded ERP That Works Corporation, which became one of the top performing Infor Channel Partners within a few short years. He believed and demonstrated that there was a better way to sell to, and serve, Canadian ERP customers. In January 2016, ERP That Works partnered with ESS to become a single beacon for Infor Sales and Support in Western Canada, now serving the entire country.